At Friends of Animals, we know that human population growth is the single largest threat to animal life, and the major cause of environment degradation and global climate change. We have a cheer for two recent pieces in the Washington Post and The New York Times that both connect the dots between women’s rights and climate change. Today’s New York Times article “No Children Because of Climate Change?” reveals that some people are actually opting out of having children because of climate change, while The Post’s op-ed “Women’s rights issues are climate change issues”, by John Podesta and Timothy E. Wirth, makes the point that building a sustainable future means including reproductive rights and health in the conversation. 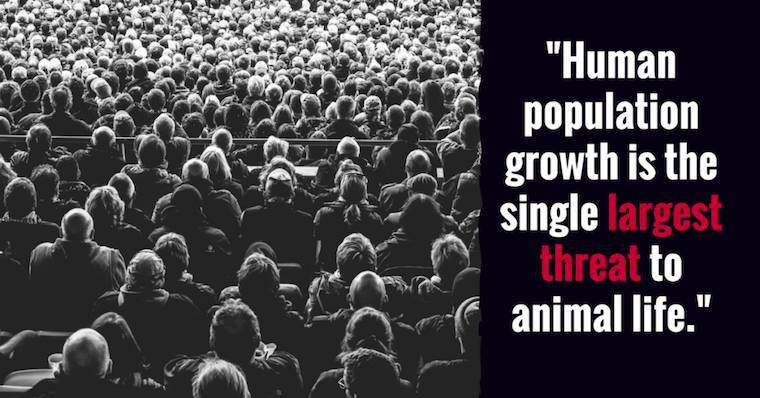 At Friends of Animals, we know that human population growth is the single largest threat to animal life, and the major cause of environment degradation and global climate change. We know all too well that humans have become obsessed with trying to control any wildlife who dares to exist, from addling eggs of mute swans and forcibly drugging wild horses with fertility control pesticide, to hunting down bears and deer, without ever focusing on effective ways to keep their own population in check. To be clear, FoA is not anti-children, we are pro family planning, pro contraception for humans and pro taking a rational approach to leading a fulfilling life. VISIT OUR WEBSITE to get copies of our overpopulation brochure and read our own coverage of this issue.